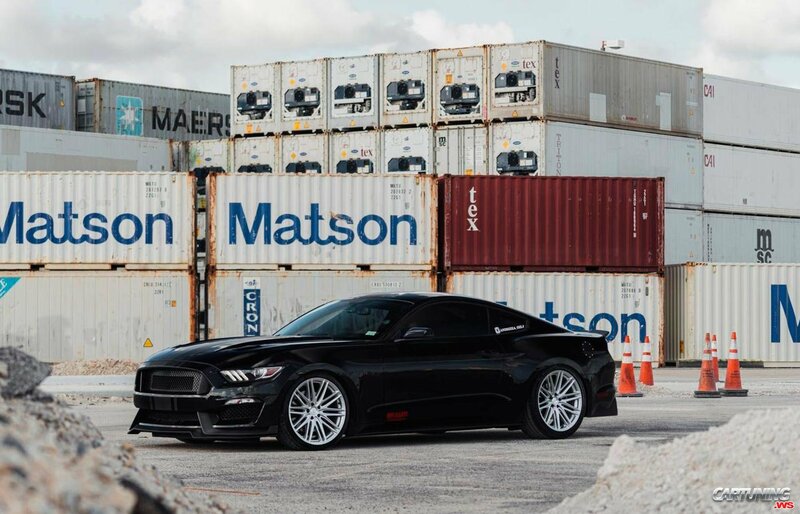 Black Mustang GT from Florida. From 2015 car got many mods, was a few different wheels (these Vossen VFS4 are only one from them), was replaced headlights, added splitter, lowered suspension, interior got LCD panel like in Tesla, etc. And Mustang still get a little changes. So these photos are not actual.